Tube Trek Water Park, let’s try one of the most exciting one in Chiang Mai. Challenge your life with your friends on your weekend at the Tube Trek water park. 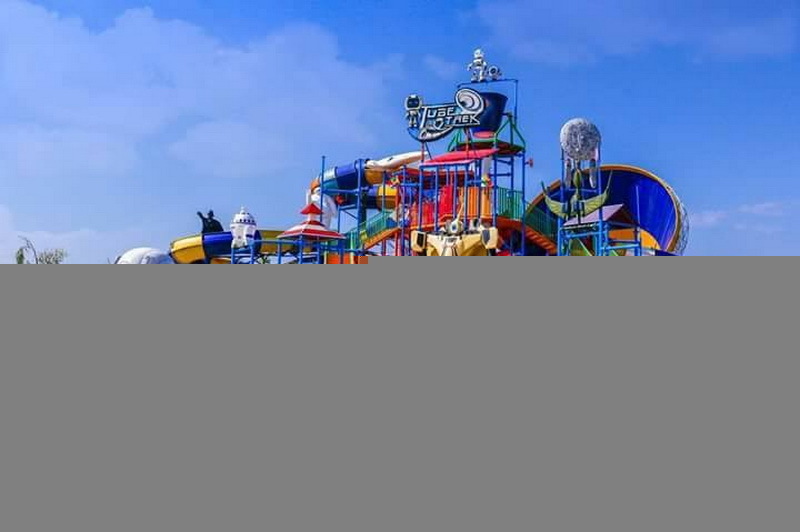 According to the restful attractions, the water park is the best choice for many ones. 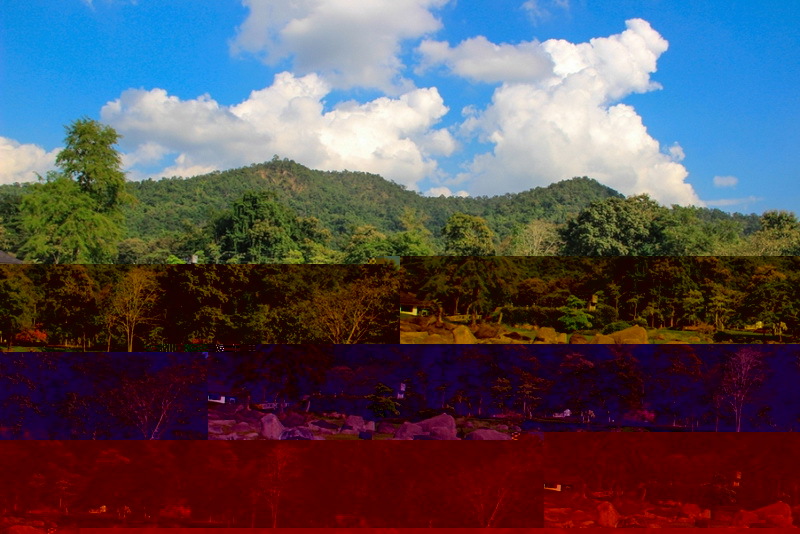 Chiang Mai is the province, has the interesting and exciting water park too. There is the Tube Trek Water Park. Not only the joyful that you will have been fulfilled but also, the novelty experience too. Therefore, I will recommend this wonderful attraction, Tube Trek Water Park for the one who planning to take it easy in Chiang Mai with their happiness weekend. 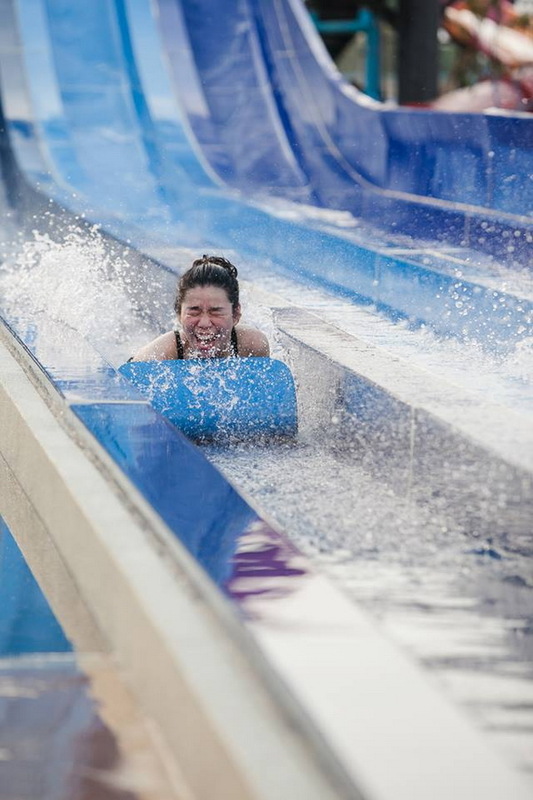 Therefore, let’s know much more with our Tube Trek Water Park, the most exciting water park in our northern of Thailand. Right now! What we will can see in this our new heaven, the Tube trek water park? 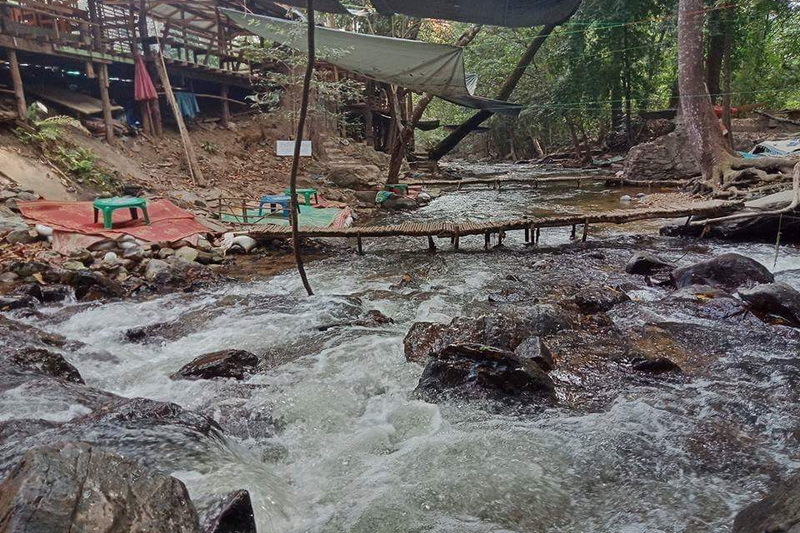 Our Tube Trek Water Park is in the San-Kam-Pang district, the well-known district in Chiang Mai which popular to both Thai and foreigner tourists. This Tube Trek Water Park is very interesting because, it is difference from the others water park. This Park has own identity and gimmick is the space. 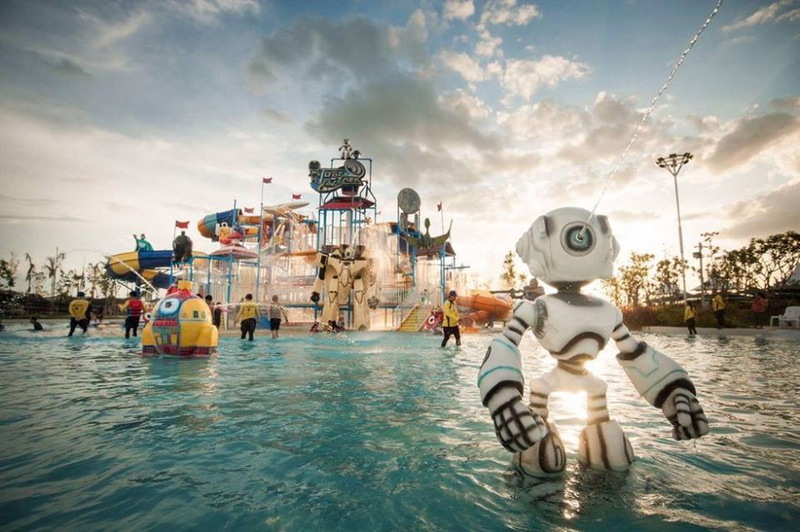 Overall playthings in this Tube Trek Water Park has been designed in the modern space theme. The duration for enjoying with the plaything and playing in water is 10:30 a.m. to 7:00 p.m. in everyday. Moreover duration, is 350 baht for adult and 150 baht for children cover only Monday to Friday from 05:00 p.m. till to the ending time of a day. 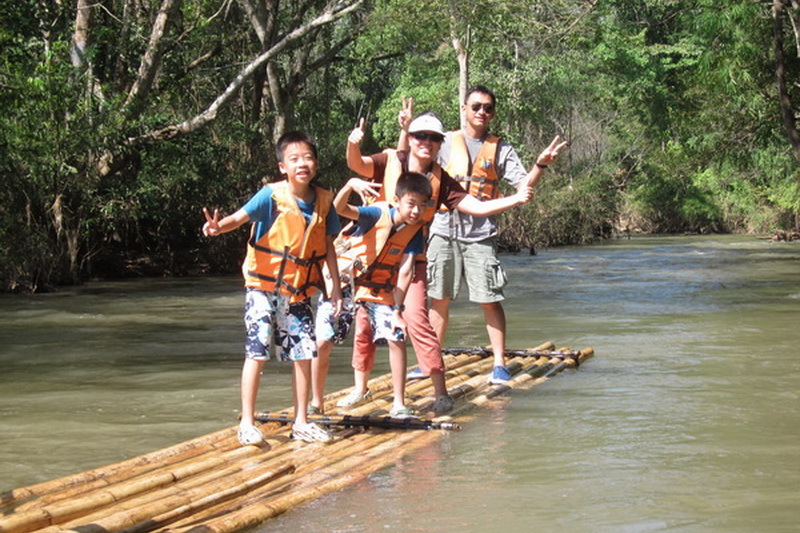 For the weekend, are 650 baht for adult and 350 baht for children, cover for entire of a day. There are 4 zone of the enjoyment in our Tube Trek Water Park, are KID’S POOL PHASE, SPLASH POOL PHASE, WAVE POOL PHASE, and the LAZY RIVER PHASE. There are some difference from each zone such as the KID’S POOL PHASE is the zone for your children for taking a time for their heaven with the kid’s see, kid’s slider, and etc. SPLASH POOL PHASE and WAVE POOL PHASE are the zone for adult to meet new exciting such as the big slider and the other exciting playthings to fulfill your experience in excitement. And the lastly zone, the LAZY RIVER PHASE is the space of ending. This space is the river for taking your life floating in the waved water pace. Do not worry for the food. There are many types of food including the drinking are provided for everyone in this Tube Trek water park. Recommend for the cheap cost of accommodation, trying to find some resort and/or hotel in San-Kam-Pang district. This is the great way to get a cheap accommodation in high quality. Booking from the travel agency via your gadgets is the wise action too. All in all, if you want to try out the difference experience while taking a trip in norther of Thailand, the Tube Trek water park is the good choice for getting because there is the first water in Thailand which has the gimmick in exactly as the space theme. Finding the new experience in Chiang Mai with your friend at here, the Tube Trek water park the great space to taking arrest from your busy life. How do we get to our new heaven, the Tube Trek water park? There are many ways to reaching to our joyful destination, the Tube Trek Water Park. There is one recommendation direction from me, is starting from our central city of Chiang Mai. 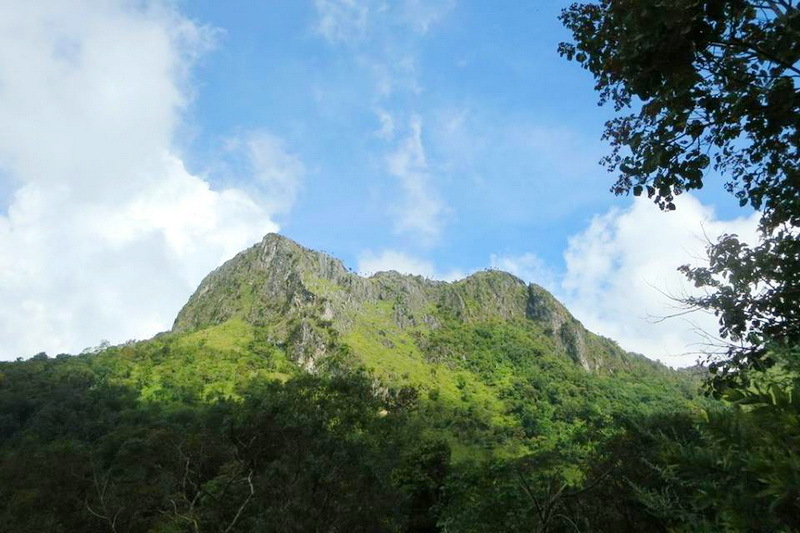 Secondly, go along in the direction of Chiang Mai – Pa Daet sub district (highway route 4032). Then, continue along indirection via the highway route number 121 (The direction to the San-Kam-Paeng district). Thirdly, take a turn on your right and move to the direction of highway 1317 and 1004 in descendent. Lastly, take a small turn to the direction of the Som-Phot-700-years road (highway route number 1006). Go along in direction for a while then, you will reaching to the wonderful destination, our Tube Trek Water Park in finally. Another ways by the public transportation, is taking from the central transportation at the central city of Chiang Mai. The cost of travelling is be several because, there are many service providers. Tips, is taking a public transportation to San-Kam-Pang district is a cheaper recommendation for getting our destination. Tourist service center is one of the recommend place to giving good information for getting a cheaper cost of traveling for you to getting the Tube Trek Water Park. Tips from my friend, is contact to the travel agency in Chiang Mai. Some travel agency can provide you with the public transportation from the airport to our wonderful destination, Tube Trek Water Park in the cheaper cost too. In my mind, rental some vehicle is the cheapest way to get there with a lot of convenience of traveling.